In this election, we have multiple black swan events, hence predicting the results are specially difficult. 1. Twin strikes of Demo and GST - in the past, the economy was chugging along, and slowly people were making money and moving from poor to lower income group to middle income to upper income...and so on. And it didn't matter which party or coalition came to power, their livelyhood changed slowly and steadily after 1991 liberalisation. But with these 2 policies, suddenly a lot of people who were well off became poor in a matter of 12 to 18 months. Farmers, traders and jobless youth (construction workers, textile workers, etc..) are all deeply impacted and they can vote significantly against the govt. 2. Triple strikes on Minorities - Hate rhetoric by central and state leaders, gau rakshak lynchings, terrible videos of Akbar Khan lynching went viral, Karin sena riots, etc.. Minorities by all aspects are expected to vote against the govt. 3. Multiple strikes - Surgical strikes, Pulwama and Blakot Strikes - Major positive impact due to this and the strong policy. People who are well off including youth cushioned by their parents wealth, and those not impacted by economic issues, will definitely be swayed by these actions. Nationalistic surge among youth. In view of the above, this election is different than the earlier ones and it will be fascinating to see how this goes and how people vote in various constituencies !! My view given my economics background has been that the economic issues are so vast and deep, it will be a complete rout of this govt. so I am sticking to my 50 seat prediction. Subramanian Swamy claimed that neither Narendra Modi nor Arun Jaitley knew economics, as they dub India the fifth largest economy instead of the third. I like your analytical skills and clarity in thought and excellent hard hitting posts. Not having much of a voters base in south, BJP is banking on the Hindi states. Gathbandan or BJP.Congress will be the spoilers and at best get 5 or 6 seats . collect some seats.Here In MP, Modi is not popular and only Shivraj chouhan can get them a few seats. In Rajasthan, People detest Vasundhara Raje and Modis charisma may not see them through. In gujerat, BJP will score .In maharashtra it will be evenly split between congress-NCP and BJP Shiv sena. the largest party in the new loksabha. congress. TDP is suffering due to anti incumbency and if congress goes with them they will only lose. Another foot in the mouth from Congress not from maverick Mani Aiyar but from Sam Pitroda who has questioned the veracity of deaths in air strikes!! 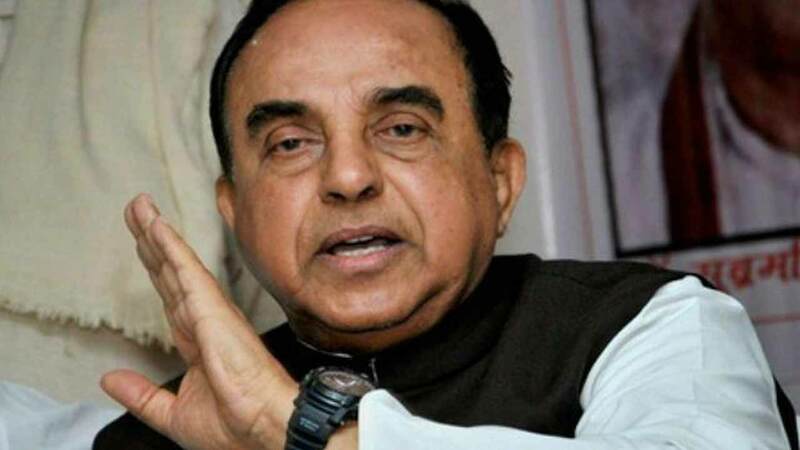 Subramanian Swamy said that he did not change his name to Chowkidar Subramanian Swamy because he is a Brahmin and he cannot be a Chowkidar. "Brahmins cannot be Chowkidars. It's a fact," he said. The video clip is now going viral on social media. However, Tamil Nadu farmers leader P Ayyakannu said the "moment they assure in their manifesto that our demands will be fulfilled, we will drop our decision to contest against Modi." Thanks, agree, people will vote largely on emotions and Pulwama and balakot has changed the narrative. 1. How many % of BJP voters in 2014 (farmers, traders, youth) people impacted by demo and GST in each constituency vote against the govt or will they give another chance ? 2. Can BJP offset this anti incumbency voters with the new voters from the Pulwama and Balakot strikes in these constituencies ? 1. Congress and mahagatbhandan gets into a last minute surprise alliance in UP, Delhi, and WB - 10% probability. BJP is clearly being paranoid on opposition alliance and putting ED and IT raids on maya, Akhilesh and Robert vadra to stop this. So a last minute surprise may be premeditated by opposition so as not to give BJP time to react. 2. Post election, many BJP MPs "may" split and defect to the mahagatbhandan. Lot of them are not happy with the huge centralisation of the power. 3. BJP should have waited for the additional 6 months for the elections. Constitution allows a 6 mths time after the 5 yr completion. Given the farm crisis, the 6 mths could have really helped to revive the sector. So the election drama could become more and more interesting as we go to polls. Post the 2018 elections, lets evaluate the potential nos the 2 alliance formations. Given the drubbing that NDA got in 2018, most opine this election is wide open. However my view is that this will be q complete rout for NDA for the following reasons. 1. Farmers crisis - the entire rural sector will vote against the govt. 2. SC/ST Groups - will vote entirely against this govt due to the sc/st act issues. 3. Youth - Massive job crisis is leading to massive discontent in this group. Hence urban seats are not safe. 4. Traders - GST has strangled the businesses particularly the smes and they will vote entirely against the govt. 5. Minorities - will vote entirely against the govt. 12. Andra - Naidu 10 seats out of 25. In short, Stalin KCR and Mamta will sweep their states and prepoll surveys support that. I feel UP they will lose big time, as the discontent against yogi is growing. Why waste your time in posting sponsored posting in this forum. TB are in minority & can't elect one member of parliament with our community support nor it can influence the voters. In Tamil Nadu TB's share is less then 1% of the total voters in TN & under this - our community should be United in order to have a say but unfortunately everyone will spk & sometimes goes against our community's interest. Tamil Brahmins are so fragmented that every other community is taking advantage of this & ridicule us in the public & our community will take it as joke. Don't know when our community will have a strong unity. God Bless Tamil Brahmins. Just because someone is disagreeing with the this govt and presents an opposing view does not mean it is sponsored. Predicting this election is a national pastime for us Indians. TBs having multiple differing views does not mean ther is no unity among us. And, when did, not supporting this govt has come to mean disunity among TBs. You are underestimating the influence this forum holds. Social media is a such a powerful medium, one lone dissenting voice can influence a large group of people and also the political parties. Lastly, Let's keep the discussion in a positive spirit, and agree to disagree and move on. 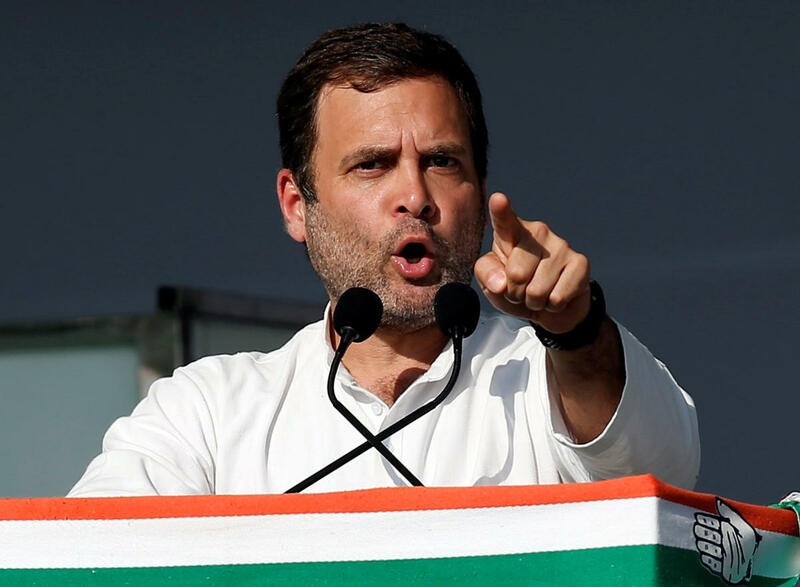 Congress president Rahul Gandhi on Monday announced that 20 per cent families belonging to the poorest category will be given Rs 72,000 each annually as minimum income if his party comes to power. Minimum income garaunteed from congress could become another game changer. This election is becoming more and more interesting !! Let's see if people get swayed by this !! There is huge difference between the general election 2014 and general election 2019. In the last Lok Sabha election, Narendra Modi, the then serving chief minister of Gujarat for a record third term, rode on a Modi wave and won the day for the NDA alliance by getting two third majority in Lok Sabha. As the nation goes to poll yet again, when Prime Minister Narendra Modi is seeking another mandate from people, we take a look as to why the task is much more difficult for him than the last time. Why the magic woven around Modi seems to have evaporated into thin air and why the charisma seems to have disappeared? The party hasn’t been able to clear doubts among the voters’ minds thanks to incessant allegations by the Congress president, Rahul Gandhi. Expose by The Hindu newspaper too hasn’t helped the cause either, creating doubts about the credibility of the party and the apparent clean image of Narendra Modi. The electoral arithmetic seems to be stacked against the saffron party also. While the BJP has invested heavily in southern states including Tamil Nadu and Kerala, besides of course in Karnataka, the fact that it has gone with AIADMK that is facing dissidence and anti-incumbency is not going to help the party either. Dinakaran, Sassikala’s nephew is expected to eat into the AIADMK votes substantially, helping DMK and Congress alliance to win overwhelmingly in the state. Now, with such devastation, it is easy to say, BJP will not win a single seat in MP. Same issue so it has RAJ and Chattisgarh. Similar issues in UP and Bihar as most of them were employed in construction which is totally standstill now. 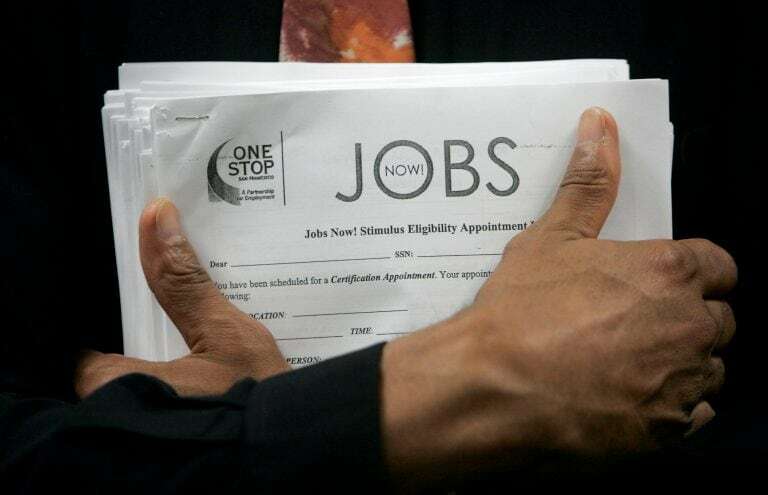 The Pew Research Center report said that 76 percent of adults have said that unemployment is a "very big problem and little has changed over the past year". Now, you can see why I said, this will be a total rout and getting even 50 seats will be tough !!! These unemployment surveys show how vast the impact of demo and GST have been!! It only validates further the economists view!! 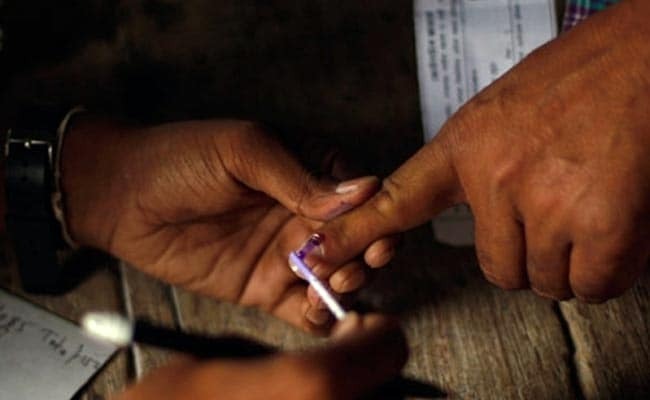 A midnight raid carried out by observers of the Election Commission of India on the convoy of BJP’s Arunachal Pradesh Chief Minister Pema Khandu, Deputy CM Chowna Mein and BJP Arunachal President Tapir Gao led to the recovery of ₹1.8 Crore in cash. The recovery, hours before Prime Minister and ‘Chowkidar’ Narendra Modi addressed an election rally at Pasighat at 10 am on Wednesday, raised uncomfortable questions. Observers, however, believe that the Commission, rather lenient on the BJP and the Prime Minister, will let it go. Newspapers in Arunachal Pradesh on Wednesday did not carry any report of the rai because it was too late. But the social media circulated videos and audio clips.